I love owls. Perhaps, given my pseudonym, that’s surprising – after all, owls are not averse to scoffing the odd hedge-sparrow or two when they can get them – but it’s true, nevertheless. 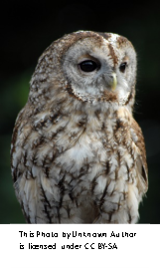 Although we live in a city, I and my family get great delight from hearing tawny owls calling at eventide from the local park, and just occasionally catching a glimpse of one when walking our dogs there. So, as I sat at home a few years ago, recovering from an operation, the idea of setting an owl-based Listener crossword came to me. My initial thought was to base the puzzle on British owl species, of which there are seven – five “native” (tawny, barn, little, long-eared and short-eared) and two which either breed in Britain (European eagle owl) or which have been known so to do (a pair of snowy owls lived and bred on Fetlar in the Shetland Isles between 1967 and 1975 until, in the winter of 1976, the male sadly disappeared). There are other occasional owl visitors, but these are not regarded as British species. I can’t remember exactly what made me think of linking the puzzle’s theme to Shakespeare’s poem Winter in Love’s Labour’s Lost, but however that happened, the lines “Then nightly sings the staring owl, tu-whoo: tu-whit tu-whoo.” seemed quite apposite. The phrase tu-whit tu-whoo, having twelve letters (at least as it appears in Chambers – in the ODQ’s rendition of the poem it occurs as tu-whit tu-who, hence the reference to “Chambers spelling” in the published preamble), seemed like a good bet for use in a 12 x 12 grid, and the remainder of the phrase from the poem, together with the name Shakespeare, gives forty-six letters, a suitable sort of number to use in a one-letter-per-clue gimmick of some sort. I still like using main diagonals in my puzzles, so I started off with a 12 x 12 grid and the phrase tu-whit tu-whoo inserted in the SW-NE diagonal. As I considered what to do with the owls, I had the idea of disguising the owl names in the grid by crossing them with the tu-whit tu-whoo phrase (the letters of tu-whit tu-whoo made this possible for at least five of the owl names), and then changing the letters at the crossing points to make new words. Solvers would then need to re-create tu-whit tu-whoo in the diagonal (with help from the lines of Shakespeare derived from the clues) to reveal the names. This concept was arrived at within about half-an-hour of drawing the blank grid: the next two weeks of my recovery period were then spent trying to get the idea to work. There were several constraints which made this quite tricky. All seven owl names (some of which are quite long), needed to appear in the final grid, along with tu-whit tu-whoo in the diagonal; I wanted to ensure that all words were real, both before and after changing letters in the completed grid; I needed to have exactly forty-six entries to give one letter per clue for the derived phrase; and there were the usual Listener Crossword grid construction rules concerning average word lengths, numbers of unchecked letters in entries, etc. I particularly remember swapping the positions of “tawny” and “snowy” (crossing the diagonal at the two w’s) many times to try different grid constructions. At last, something very close to the final grid was achieved. 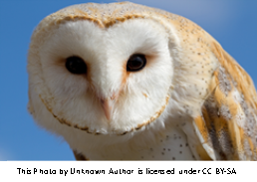 There was a subsequent small adjustment when I noticed that the five letters discarded when forming the phrase tu-whit tu-whoo along the diagonal could almost be arranged to spell the term “madge”, a dialectal name for the barn owl: a bit of rejigging made this possible so that these discarded letters could also be used thematically. The final result was not perfect: there were too many “fully checked” entries (ideally there shouldn’t be any of these), and the average entry length was a little low. I spent a long time trying to improve on these aspects, but with little success. I think a 13 x 13 grid would have an enabled a more elegant grid construction, though the twelve-letter tu-whit tu-whoo phrase would not then have fitted so neatly. Despite the grid’s deficiencies, the Listener editors kindly let it pass. Cluing always takes me a long time. Typically, I achieve something close to a full set of clues within a couple of months of compiling a grid. I then read through them, realise there are several I’m not happy with, and begin a long process of amendment or rewriting until I’m finally (reasonably) satisfied. In the case of A Little Night Music, this process continued over a two-and-a-half year period between the original grid compilation and submission of the puzzle in the summer of 2017. I suspect I’ll never get a job compiling daily crossword puzzles! And despite all that effort on the cluing, it turned out that I’d made a right pig’s ear of it. For some reason, I decided to use the “extra letter in word-play” gimmick to generate the lines of the poem from the clues. This is a device I’ve rarely, if ever, used before (actually it’s a device I’m not really very keen on, so I don’t know why I decided to use it in this puzzle), and I erroneously constructed several of the clues so that their “wordplay with extra letter” bits were directly “equated” (via link-words such as “is”) to the definition without the extra letter. However, with much assistance from the editors, the offending clues were rewritten, and the thing was done at last. I hope that the final puzzle was one people enjoyed solving. I perhaps should add that I am, of course, aware that only one of the so-called “protagonists” could really be the one calling tu-whit tu-whoo outside greasy Joan’s window (and that the “madge” is not that one). However, I rather liked using Shakespeare’s poem as an aspect of the puzzle, and limiting the owls to the tawny alone would have meant that the thematic content was rather thin! As ever, many thanks to the Listener Crossword editors Roger and Shane for their tireless efforts in getting these puzzles ready for publication every week. This entry was posted on 4 November 2018 at 8:00 pm	and is filed under Setting Blogs. You can follow any responses to this entry through the RSS 2.0 feed. You can leave a response, or trackback from your own site.